Pros: What I like most about this software is being about to track which assets are being used by different users, and our marketing team is able to use that information to make more successful campaigns. It is a great resource for our company to ensure that everyone was using the most up to date assets. I also love that it has a super easy, very visual interface that makes it a breeze to find exactly what you are looking for quickly. Cons: I think the biggest trouble we have with the software is signing people up for the first time. Sometimes the email sent from Brandfolder goes to junk mail, and the person receiving the email doesn't always know to look there. Overall: Organization was the top benefit for our marketing team. Our dropbox was getting filled with different variations/edits of our millions of assets, and dropbox allows us to house our final assets so looking for the correct version is simple now. 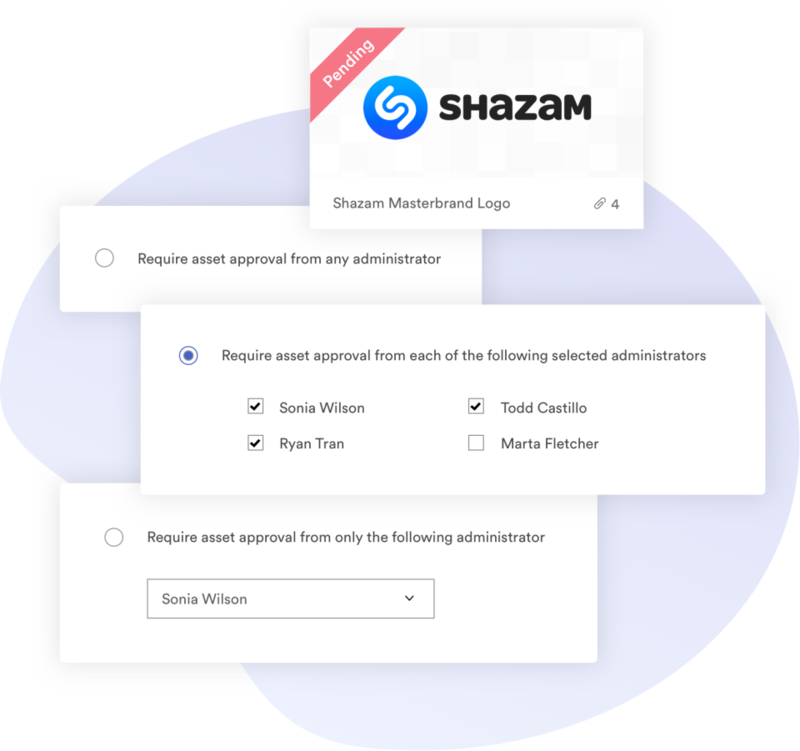 We also don't get one off requests from other departments since dropbox makes it easy for them to find what they need and resize any asset. Pros: The onboarding was a breeze. They had our account setup that day and transition planning and meetings setup asap to get us up and running fast. It took a bit of playing around to get use to the systems (about 60 minutes) and then I felt like a pro. Very intuitive filter based searching. I love their integration with adobe suite for templates, that way my employees do not need access to photoshop or illustrator - it is saving us a lot of time. Cons: Maybe a few more pre-built API integrations but that being said, their support is top notch and they assisted us with the connections we needed. We are not on a top tier plan either but they treat us like an enterprise company. Overall: Digital Clutter No More! Pros: Brandfolder is very intuitive for my colleagues across the globe. 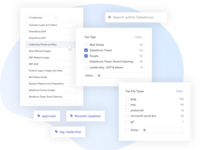 Being able to share and have access via the cloud has really been a game changer for our marketing business and sharing content with coworkers and partners. We have also been able to work with Brandfolder to create a single sign on within our company portal. Cons: No issues with Brandfolder, nothing I can think of that has me wanting more. Overall: The software is great and the people there are very responsive and helpful with guidance on how to set up, organize and implement our data asset management system. Pros: It enabled me to streamline our marketing initiatives. I no longer need to search on 10 different platforms to find what I'm looking for! With a marketing team of just me, myself, and I, this is absolutely invaluable! Cons: Obviously, good software does not come cheap...but with that said, I do believe you get enough value for the price point. However, as a small business owner, this is a tough nut to chew when trying to make things happen on a shoe string budget. Overall: From day one it has been fantastic. As a fitness franchise now with 20 locations (and counting), it is a huge help to have this software in our arsenal of technology. Not too mention, their customer service is top notch, responsive, and almost always available. Hard Exercise Works® is proud to partner with Brand Folder! 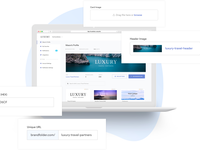 Pros: Brandfolder is easy to use for both administrators and guests, offers multiple settings based on your preferences, and has a very friendly and accessible customer service team. I also very much appreciate that BF is always innovating to provide a better solution for their users. Cons: The only feature that I like least is the inability to set an automatic sort per section, rather than a automatic sort for the entire Brandfolder. Overall: We solved the problem of having to be on our VPN to access our S:/ drive, which solved much larger internal problems. It has definitely served us with a branding solution, as well as a platform for storage and direct distribution of files, logos, presentations, etc. Pros: It's simple UI. Very little time needed to learn to use as an administrator. Cons: It's not the cheapest solution available but Brandfolder offered the most of what I needed for Travelpro. Overall: Since implementing Brandfolder at Travelpro, I now have time to focus on other more important tasks. 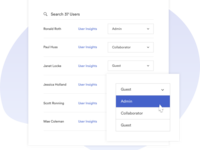 No more time spent searching, culling and sending DAs to customers or sales reps. Now everyone can easily log in as guests and quickly find what they need without my involvement. When I do run into a bit of a snag, customer service has always been available with a quick solution. Pros: The user experience is exceptional. The layout is very clean and action buttons are clear. We move quickly, any small items like this really impact our process positively. Cons: I do not like that you can't download videos straight form the system, but have to go to an external media site (like vimeo) to link to. Pros: We love the ease of use, how it universally meets our needs and how robust Brandfolder is. Customer service is always willing to lend a hand and responds very quickly. Cons: I just wish I had enough time to add all of our assets here! Pros: Brandfolder immediately caught my attention because of its simple UI. We were looking for a way to make our help center assets more manageable, and I especially love that with Brandfolder, we could use a static link that dynamically updates when the asset is changed. This allows you to update images across the help center without editing the URLs themselves. Cons: The tagging feature is less robust with screenshots than with images, but that's totally understandable and to be expected. Overall: Easy to use and presents lots of content/functionality in a clean, approachable way. Overall: Its been a very intuitive tool to use. We are currently using the embed functionality to give our course attendees a resource library. Cons: The price is wayyy to much. We had a smart image account before. The cost was like 500$ a year and it had mostly the same option we are using right now. Fortunatly for you, brandfolder was the only option available for our needs. Overall: Very good, except for the price. Pros: I love that it is easy to use and intuitive. Cons: So far, no major issues to complain about. Overall: My company started using BrandFolder for the marketing team's asset library. To go from no formal process to something so structured has been amazing. It is great to be so organized and be able to find and share assets quickly is a real time saver. Comments: Brandfolder makes sharing my brand super simple. We do not yet have a lot of collateral but our colors and logos are available for all of our employees and partners to insure we always keep a consistent look and feel. With new features, our start-up can grow with BrandFolder. New collateral is created and can now be shared instantly. I have turned on a number of client to this site just to make it easier for me to use their logos in our advertising. Overall, it's beautifully organized and utterly simple for anyone to use. Pros: It was my first DAM software I used, so I thoroughly enjoyed it until I started noticing other DAMs. The other part I personally enjoyed was it was a local company and I supported that. Cons: The one feature I found most helpful on another DAM was the ability to export a logo file in specific sizes and formats. Brandfolder didn't have this at the time I stopped using it. Comments: Finally - a way to share brand assets without the need for longwinded email chains! Now marketers can distribute marketing materials electronically with ease, in a way that is clean and organized (far better than Dropbox). Our clients love how simple it is to download collateral right from Brandfolder without needing to contact us directly. The free version of Brandfolder is a great way to try the service without making an upfront commitment. The only thing you have to lose are sales! I'm an end user, so can't speak to anything except how easy it is to download stuff from corporate! Comments: Our old system was so painful...couldn't find anything, so not user-friendly. Edgard came on board at corporate and switched us over to Brandfolder, it was seemless from an end-user standpoint and SO BREEZY to use! I'm trying to give more that 3 stars on Ease of Use, but nothing happens when I click on the 4th & 5th stars! Now same thing happened on overall! Should all be 5, although I tried to leave CS blank because I've never had to deal with them, so can't say! We've been using Brandfolder at Inspirato for a little more than a year now. Comments: We recently renewed our subscription and added the "collections" functionality. Brandfolder is our go-to asset management system for internal and external use. As a growing company with an ever-evolving brand, we need a single source of truth for logos, images, videos, sales collateral and other shared assets. 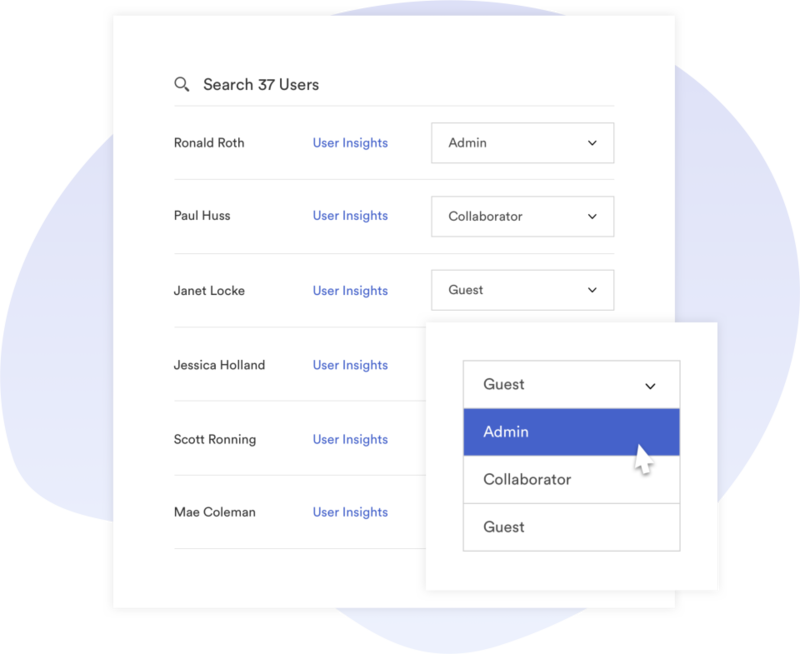 We're very happy with the functionality and ease of administration. We've shared with quite a few partners and have had zero complaints. Great product! Comments: We've been using Brandfolder for nearly a year now, both internally and for our clients, and it has been awesome. Internally it's been nice to have all of our brand assets available anytime we need them, but getting our clients signed up has saved us a ton of time that would have been spent in back-and-forth emailing. Plus they see it as a value-add to our services, so it's win-win. Thanks for the review! Chai Tea Marketing and Brandfolder for the Agency - an obvious fit! Comments: I can go on forever about how much I love Brandfolder. We deployed across 23 offices and 900 employees. I love the tracking abilities to make sure that remote offices are using approved assets. It's easy to search, use & share assets of all kind. I would recommend this platform to any business it's like the Apple of DAM. Easy to use no fuss. On top of this, the customer service is amazing. Comments: Brandfolder is easy to use, easy to share, and the customer service is unexpectedly amazing (I say this because the price is very low and the customer service levels are very high). My company has been with Brandfolder for two years and will continue to use their services. It is also nice to see all of the ways they work to improve the site monthly. The new changes are always good ones! Comments: Between our internal and external stakeholders we have dozens of people who need access to files, images, documents etc on a daily basis. Brandfolder makes it super easy to share all of our assets while keeping them organized in one consolidated place. Plus - their customer service is awesome and it's great to have a partnership with a vendor who just gets it. Highly recommend!! Comments: Brandfolder has completely changed the way our company has managed its brand. Everything is now in the same place and has gone through our brand standards. 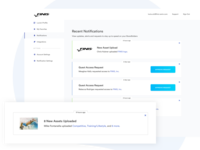 Our Sales Team can now easily pull down the sales collateral they need with in minutes rather than waiting for the Marketing Team to reply to their emails. We love Brandfolder and highly recommend this to other businesses. It's a great piece of software that works well with large branding projects. It keeps things simple. Comments: Not necessary for smaller brands, but for larger scale brands with multiple people requiring access to the assets, it's perfect. It would be helpful to have a larger amount of storage than 80MB for individual assets. This is because some clients require access to packaged files with original artwork and links, which can be up to 150MB+. Comments: This is perfect. Add a small business I was constantly trying to find a digital file of our logo when a sponsorship of advertising opportunity sprang up at short notice. Now I just remember a simple url. All the versions are there, with instructions on how to use them, and I know they are up to date. Great stuff. Comments: Brandfolders is very easy to navigate and easy to harvest assets. The search function is often hard to find for my customers, but a little coaching and they find it. i have not heard many complaints about brandfolders. all in all it's been a good experience for me and my customers. Comments: I love Brandfolder. I don't have to keep going to a specific designer (or have members of my team) ask me for fonts, logos, or other design assets all the time. Now, they're in one place. Super easy to use...and I love the clean, simple look and feel as well. Love it! We love Brandfolder and we recommend it to all the members of our startup community! Comments: I like that you can create an online press kit with ease. I'm not so sold that you can't retitle sections to better fit your use. For example, "People" would work better for us as "Team" or "Meet Our Founders" - just to provide some context for the reader/user. BrandFolder is so easy to use! Comments: It's so intuitive! BrandFolder has made it easy for us to share assets with our employees so we can maintain a high level of integrity of our brand. There's no training required because it's so easy. We've been thrilled with the service since day one. Comments: BrandFolder is purpose built to manage brand assets. It's so easy to put assets online (like our logo in various formats). When we change the assets they automatically update. I can access BrandFolder from all my favorite tools. Comments: Working for an ad agency I deal with a lot of client assets. Brandfolder nearly eliminates all of the daily requests for logos and other project related files. It allows our clients to organize and manage their assets. A real agency time saver! Why don't all businesses use Brandfolder? Comments: One of the best tools out there for keeping up to date with supplier web assets. I find the email notifications very helpful. They let me know when one of the products listed on my websites has been updated by the manufacture. Excellent portal. Comments: Unlike WhackAmole....all the fill in & drop off boxes are easy to navigate to create your own personal, branding package. Much like a compartmentalized 12 piece Russian Doll set....yet all the necessary tabs are right in front of you. Comments: Brandfolder has been instrumental in our growth as a global company. 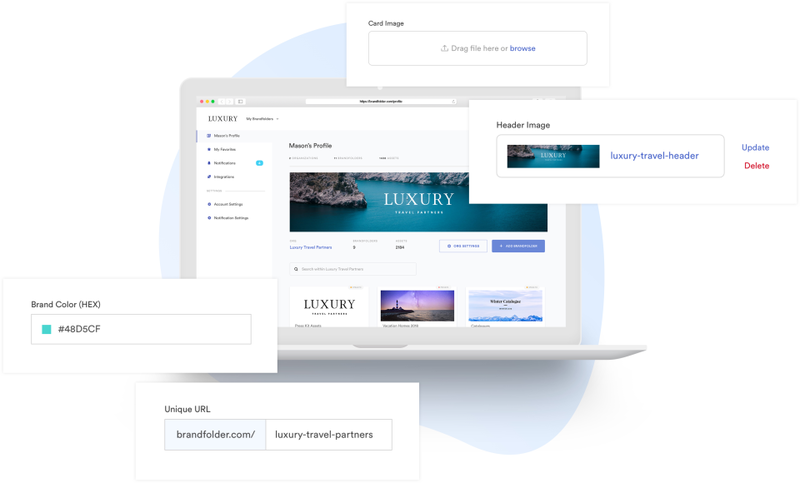 Brandfolder's stunning design and pleasant UI makes for a streamlined way to share assets with our partners and customers all over the world. Thank you, Brandfolder! Comments: Brandfolder is an exceptional way to share information. Not only internally, but to external vendors that need to create advertising, web content, graphics or product designs with the most current high resolution reference images. Comments: Major improvements are the ability to stack images and to have multiple image sections. The only management concern is when the number assets become so great, there is no functionality to visually open/close sections. Comments: It's great to have just one place where adding organized brand assets. I use Brandfolder to manage my Non Profit. Volunteers and supporters can get from out page the most things they need. It's a great help for us. Comments: I don't always find it easy to find what I'm looking for but when I find what I want, it's usually quick and painless to retrieve it and use it. All in all, a great product with some room for improvement! Comments: Brandfolder provides an easy to use solution to asset management and distribution for my teams around the globe. From Channel Marketing to PR, our teams have direct access to up to date assets at any time. Comments: Super fast and easy. Flexible to a certain point. Cons: Searching and finding materials in Brandfolder is not an easy task. And also, grouping is not clear (e.g. leaflets, imagery, etc). Comments: This is a great solution for sharing resources, especially as a user, though I have little experience on the administrative side. I pull info, but do not manage it. Comments: Brandfolder was awesome when I signed on nearly two years ago and it's constantly evolving and improving. Brandfolder is an essential resource for any design firm. Brandfolder has been a great way to deploy a rebrand. Comments: There are virtually no cons! 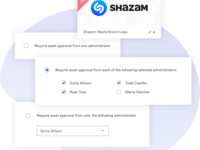 The ability to list files and show notes about how they are to be used has been very helpful when dealing with outside contractors. 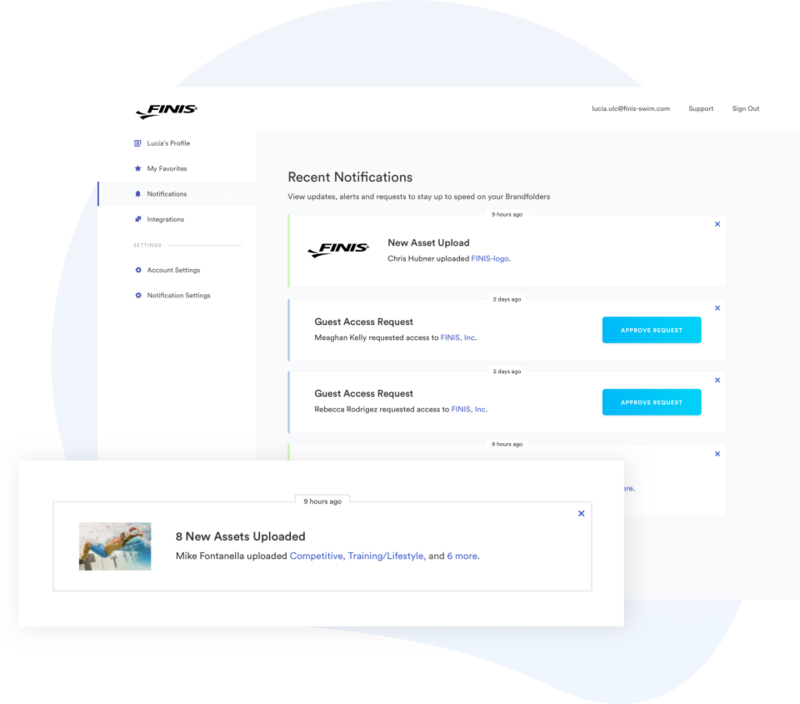 Comments: As a small business, changing merchandise vendors along with heavily involved with marketing, Brandfolder makes it an ease to work vendors and marketing firms. Comments: This software has made it incredibly easier to look through multiple portfolios, without having to leave on website to get on another. A great time saver!! Comments: My company uses this software and it has an easily navigable interface. I can always find what I need quickly in a sleek software environment. Comments: This is a very convenient one stop shop for all marketing materials to be house in one quick and easy location for fast use on projects.